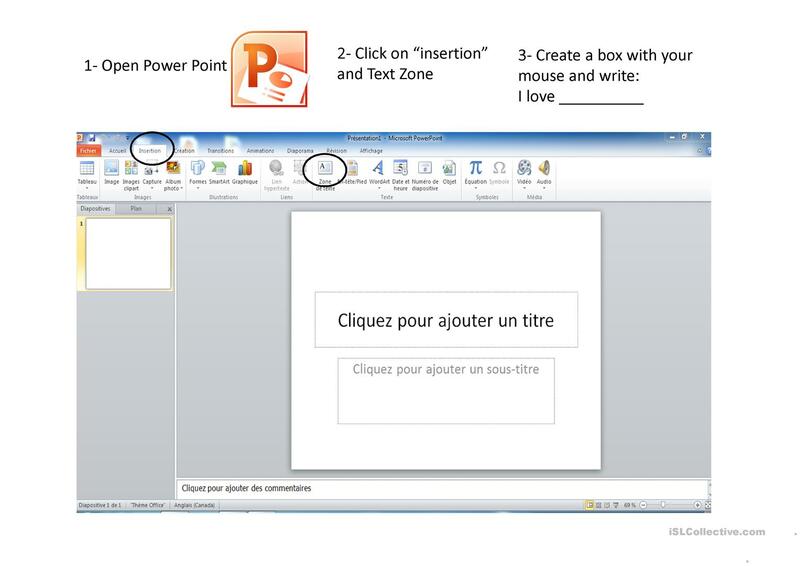 A computer lab activity with students who have low knowlegde about power point. This activity is to insert a text and an image. It takes about 15 mins. Screen shot are taken to help with the steps. The present printable, downloadable handout is recommended for high school students, elementary school students and adults at Beginner (pre-A1), Elementary (A1), Pre-intermediate (A2) and Intermediate (B1) level. 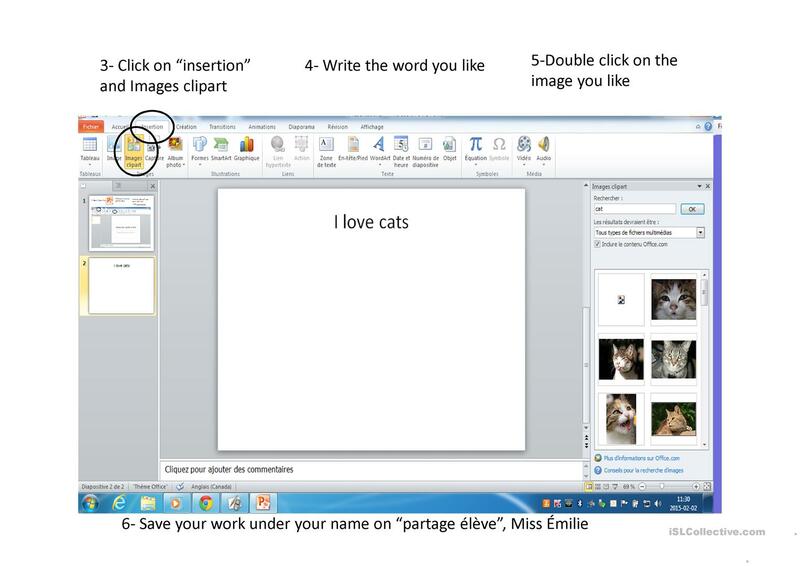 It is excellent for enhancing your pupils' Writing skills. Emiliegignac is from/lives in Canada and has been a member of iSLCollective since 2013-03-08 04:03:06. Emiliegignac last logged in on 2019-04-18 16:34:34, and has shared 7 resources on iSLCollective so far.